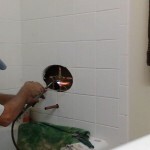 Shower Plumbing Replacement Services in Stuart | Dylewski Plumbing Inc.
Shower replacement requires a certain level of skill that most homeowners do not have. As a result, homeowners often make mistakes that cause more harm than good. This is why it is important for everyone to stick to their skill level. Hiring a professional plumber minimizes mistakes and maximizes results, thus ensuring that the job is done properly. Professional plumbers are also very skilled at diagnosing any other problems in the shower. They can spot additional problems while replacing the shower, and fix them to ensure that everything is working properly once they are done with the replacement and repairs. 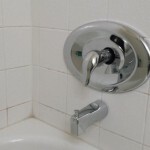 One of the main reasons why people prefer to replace shower plumbing themselves is the cost of hiring a professional. However, hiring a professional could prove to be less costly. For example, professionals know where to purchase the highest quality replacement materials at a lower cost. They have a few suppliers in their network, and they can get the best price for a particular product. Good plumbers replace the shower plumbing professionally and do their best to minimize costly mistakes. Furthermore, a good plumber has insurance and a warranty. This means that if anything goes wrong during the installation process, they can fix it at no extra cost to the homeowner. Also, if the homeowner experiences the same problem within the warranty period, he can call the plumber to fix it again. Plumbers can also perform emergency repair services in case anything goes wrong. All these ensure that the homeowner does not pay more than he needs to for the best possible shower plumbing replacement job. Replacing shower plumbing can take a lot of time. This is because it is quite a complex job that should be left to a professional plumber. Doing it on your own may require you to get some time off of your busy schedule, and it could take days to complete the job. However, hiring a professional plumber can ensure that the job is done on time and that you can concentrate your time and efforts on other things. 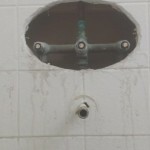 If a shower replacement job is not done professionally, it could leak and require repairs very quickly. 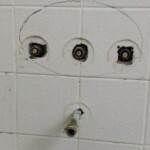 This is because there are quite a number of connections required in shower plumbing. Therefore, it is better to get an expert who can pay attention to detail and do the job perfectly and permanently the first time to ensure there are no future issues. Though skill is important in plumbing, professional experience is even more essential. Professional plumbers replace quite a number of shower plumbing, and most of them have years of experience under their belt. They know which mistakes to avoid, as well as tips and tricks to ensure that everything runs smoothly. This is why it is always better to trust their services as opposed to doing the job yourself. A plumber is more familiar with all the shower models and designs that he can use to make your bathroom a beautiful and relaxing place. By doing it yourself and going with the basic models, you limit your options. A professional plumber has the latest plumbing equipment that can help them replace the plumbing in the shower and resolve any problem that arises. This is very different from homeowners, most of who do not have a reason to invest in high-quality plumbing equipment. Getting a shower replaced is a technical and complex task that should be left to a professional plumber. Fortunately, Stuart, Florida, has plumbing companies that have expert plumbers who are familiar with shower plumbing replacement. They can do the job in a timely fashion and within your budget without causing any further damage. Most of these companies have insurance and a warranty to protect you from liability in case anything goes wrong. He was absolutely great! Very knowledgable and fast service. The price was better than anyone else in the area, and no service charge. He gave us a quote right over the phone without all of the annoying questions. Love the company and they will be my long term plumbing company. I am very happy to have found this plumber . Bob was my plumber and he took time to go over every detail and explain. He was very friendly and funny it has been a couple of months since he did my work ,we have had no problems at all with anything he did . Bob is not out to get rich on his work he charged me a very fair price and all my work was done the same day. Bob was great!! Highly intelligent and knows his stuff. Contacted me back right away and was able to get me scheduled within a day. 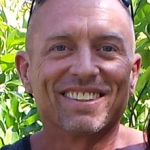 He provides excellent customer service and truly cares about his customers. He's honest and his prices are very reasonable. We will definetly be calling Bob again for any other plumbing needs.